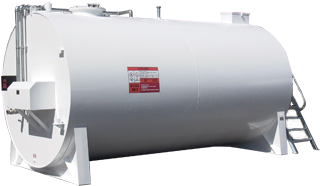 We are an ERMA approved Fabricator and all tanks are constructed to approved designs. We have a range of options to suit all applications. 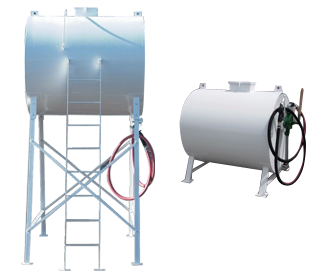 On ground tanks supplied with K3 semi-rotary pump. Standard sizes are 600, 1000, 1300, 1800 litres. All tanks made from 3mm plate and have an internal baffle. Complete with 4m hose, auto nozzle, flow meter and outlet filter. All are double skinned and made to your individual requirements. 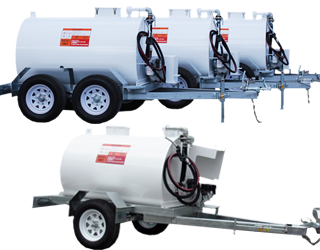 Installation, repair and maintenance of fuel storage and service station tanks, pumping and dispensing equipment.